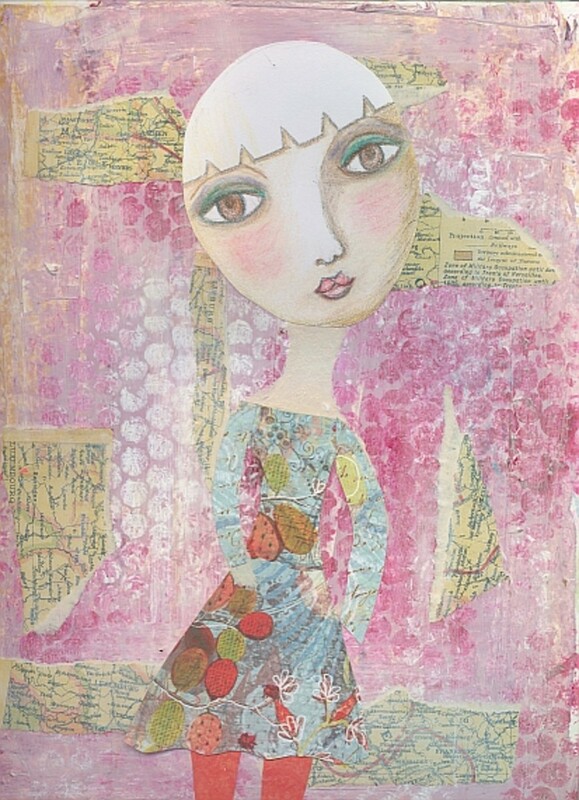 The enticing world of mixed media art is irresistible to journalers and artists. Who hasn't looked at those delicious layered pages or canvases and wondered how to get the look? The techniques are simple and the key to obtaining those layers is... do it layer by layer. 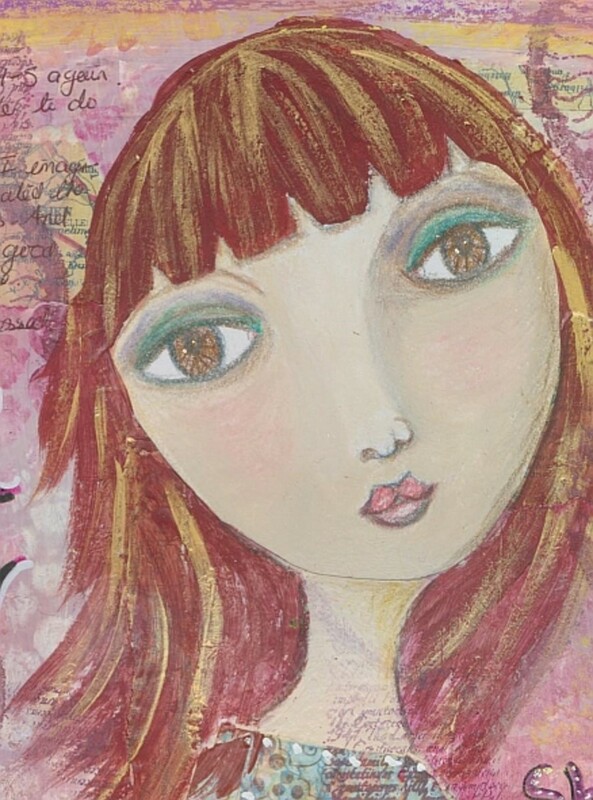 This page is a simple guide to creating a mixed media journal page, although you could use any substrate - canvas, board, paper or wood. Journal or single sheet of watercolor paper 9" x 12". I am working in my Strathmore Visual Journal, which has lovely 140lb watercolor paper. It seems to be able to stand up to any punishment I can mete out. Acrylic paint - any old acrylic paint will do. I used three colors for the background: magenta, white and metallic gold. You choose your favorites but beware of mixing three primaries (red, yellow and blue) together - you will get a muddy brown. You will need a color for your girl's (or guy's) hair - maybe that muddy brown would come in useful after all! Titan Buff, or a similar flesh color is useful for painting hands and necks, but you could cut them out of paper if you haven't got the right paint. Bubble wrap - mine was about half the size of the page but it really doesn't matter about the size. Some scrapbook paper - a patterned one for the girl's dress, plain for her leggings and some torn up printed text for the background collage. I used old map pieces. Sheet music is great for this too. A drawing of a face, or a photo cut from a magazine, or print one out from your computer. PVA glue - anything you've got. Rubber stamp & ink pad - optional. Mine is a text one used with a dark purple ink pad. Black always works well. Crayons, pastels or watersoluble crayons - mine are Neocolor ll. Pens - colored markers, ballpoint, white correction pen. Charcoal pencil or soft graphite pencil. 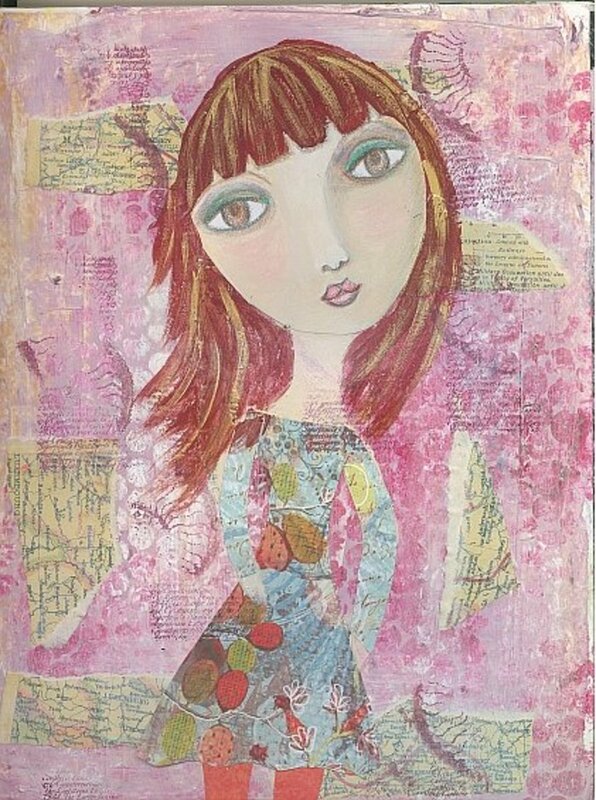 One thing to remember with mixed media is that you can always change or adapt. If you don't have an image that you want, then draw it. If you don't have scrapbook papers, then tear up a magazine page or even junk mail. If you don't have Neocolor lls, then use your kid's Crayolas. There's no need to spend lots of dollars on art supplies - most of these things you will already have. 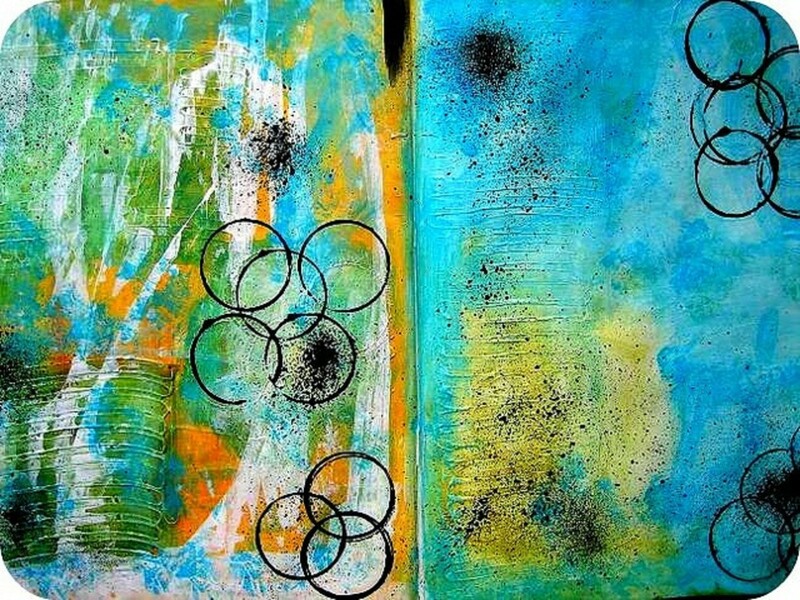 The first step in your mixed media project is to create a background. First paint your page with your choice of acrylic color. 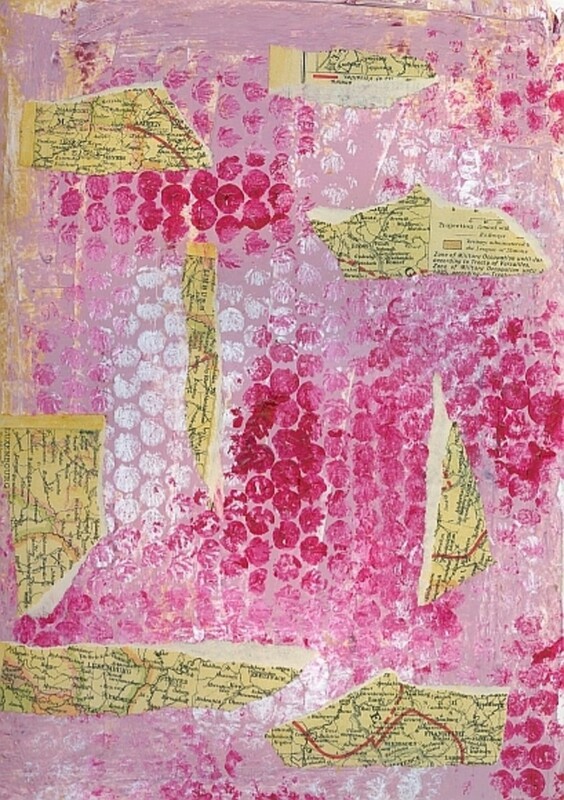 I used magenta, white and gold, and scraped them all over the page using an old credit card. You can use a brush or your fingers or anything you like. Just get that first layer of paint down. Allow to dry. Next, take your bubble wrap and place it on your work surface with the bubble side up. Take two of your paint colors and paint them haphazardly on to the bubble wrap. Carefully pick up the bubble wrap, turn it and press it down on to the page. 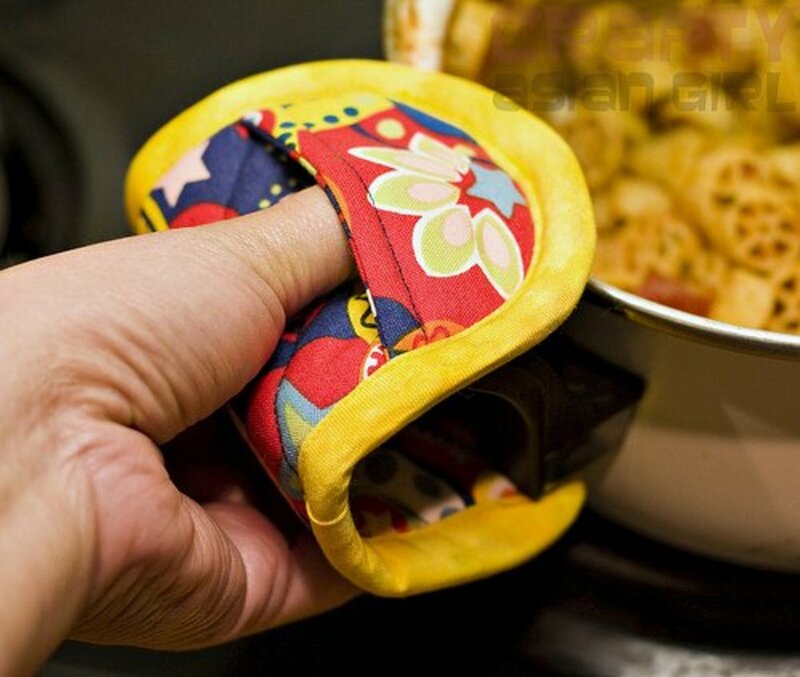 Don't move it around, simply press down with the flat of your hand. Lift the wrap carefully and move it to another part of the page and press it down again. It shouldn't be necessary to apply more paint for the second printing. If there are spaces on the page, reapply a little more paint and repeat the process. Allow to dry. Isn't that an easy way to create an interesting texture? You can't see the gold gleaming through on the scan, but it is there and adds depth to the background. Torn collage is the next layer. Tear up your printed paper, whether it be text, newsprint, or an old map like mine above. Use white glue to adhere the pieces to the page in any random fashion. Place some vertically or even upside down. Use more or less than I did - it's your page, so please yourself. This step is quite important - it is for me anyway - the background looks quite harsh and bright. You may like yours the way it is, so feel free to skip this step. Water down some white paint and cover the whole page. Allow to dry. Repeat as necessary. I think I used three applications with a little more on the map pieces. This process 'knocks back' the background. Once the page was completely dry, I glued on my girl's head. You can see that I only drew a face and left the hair alone. If you are using a magazine cut-out, then cut off as much hair as you can before gluing her down. Experiment to see what placement looks best. Remember to leave room for her dress and legs. Or not. Learn how to create whimsical portraits of 'pretty girls'. Included DVD. Sketch out a rough outline of a dress on our scrapbook paper. It doesn't have to be in proportion. In fact, it looks cuter if it isn't. I painted her neck in to fit the dress. Again, try out different placements before gluing any papers down. If you can paint hands and want them showing, then go ahead. I'm going to have my girl holding a heart, so I don't bother. Cut out some stick arms and legs, making sure they fit against the clothes with no unsightly gaps. I gave mine bright red leggings. Time to paint hair. Choose a wild color, if you like. 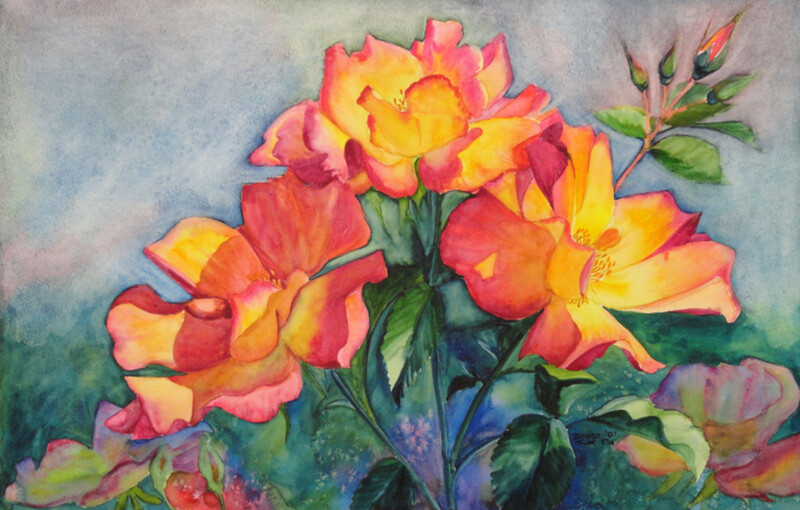 I used a mix of Quinacridone Burnt Orange and Venetian Red. When it was dry I gave her gold highlights. I applied my text-based rubber stamp over the page, on her dress and even on her neck. I had a little accident at this point and got some on her face. Sometimes it looks good, but in this instance, she acquired a beard. Not good. Luckily, there are no mistakes in mixed media and I simply covered it with Titan Buff paint. It's almost done. Stand back and see if you need to make any changes before going any further. I decided that my map pieces were still too bold and made a slightly heavier acrylic paint (Titan Buff) and water mixture and gave them a good seeing to. This time, they receded just the right amount. Add some text - a pithy quotation, something in your head, a favorite song lyric, a line of poetry, an old saying. You can use markers to write it yourself, you can use rubber stamps or you can cut text out of magazines. I sometimes like to use a typewriter or Dymo font and print out my text. Decorate the text by highlighting, adding white dots with a correction pen, outlining with gel pens. 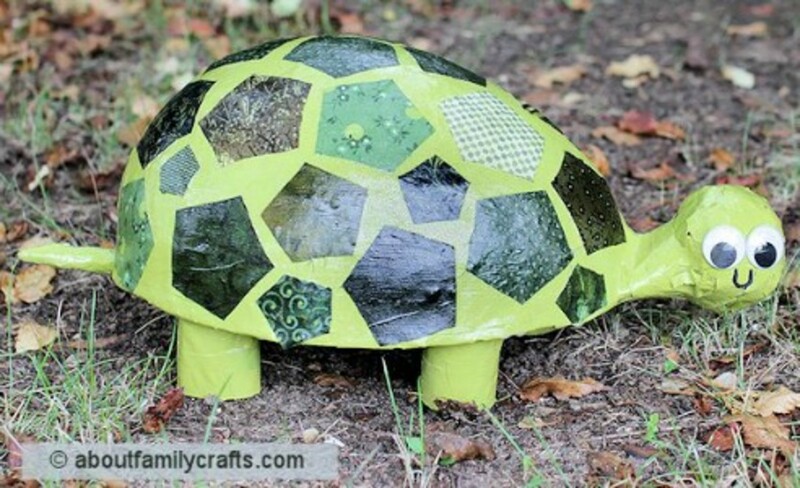 Use crayons or pastels to make a rough border. Use colors that work with the colors already on the page. Rub colors with a finger to get a smudgy look. Unfortunately, my scanner is not quite large enough to see the whole thing; the border is all round the page. I used a dark red marker to give her stripey leggings and glued a paper heart into place. Rub a little charcoal pencil around the edges of the girl to make the collage look more integrated with the page. I added some final little touches with white correction pen. Lastly, I took my trusty ballpoint pen and journaled on the page. Write about anything - the process of creating the page, what else is going on in your life or maybe something to do with the large text you already wrote. Did you have fun? I hope so! Thank you, ScrapbookingAU. Nice to meet you. Thank you, Website Confetti! 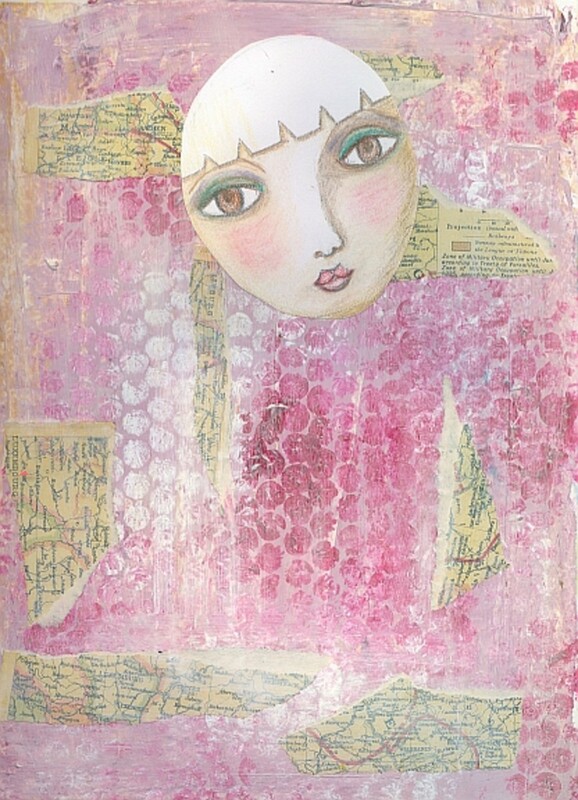 I felt like I'd found a new home when I discovered mixed media - so much to explore. Love your artwork. I am a big fan of mixed-media art. I've bookmarked this hub in my inspiration folder! LOVE this idea! I am an abstract artist and this is a fun project. I really enjoyed how you outlined how to do it as well as showed the steps and finished project. I look forward to seeing more of your work. Thank you, Di! 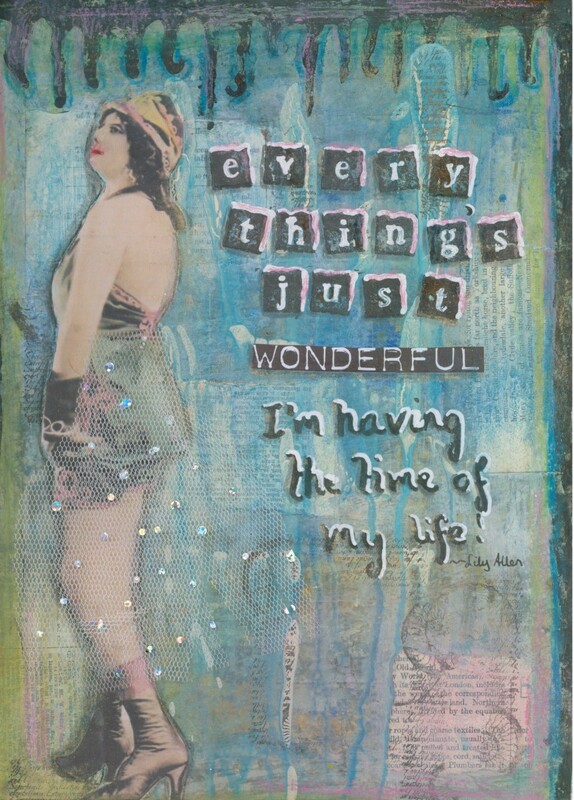 I think your journal pages are lovely! Love this. Thanks for having the patience to list all the supplies and give step by step instructions. It really helps. How do you get the awesome shots of your art? Do you use a scanner or photograph the pieces? Mess is good! I sit here making my Hub with the art project going on right next to me. I do have a little clear-up before starting again. As far as making a mess in an art journal - that's wonderful. It doesn't have to be pretty... it's more important that it is yours and, therefore, unique! I like the freedom to start again and again having fun and not worrying too much. My sister is brilliant at this. I just make a mess of things, but maybe that's a terrific bonus. When these six months are over and I've got space and time to make a mess, off I go! Much appreciated, randomcreative, cat and sofs. Good luck with the rocks, sofs! Neat hub! I just needed a break from writing and do something more creative.. I need to start of one of these projects.. I guess, I will do the rock painting sometime today. Great ideas.. Keep them coming! Your hub is creative, informative, and well laid out. I really enjoy your artwork and ideas. Great!! Great tutorial!! I love the step by step pictures and photos. Thank you all so much. I am so happy that you are going to have a go. 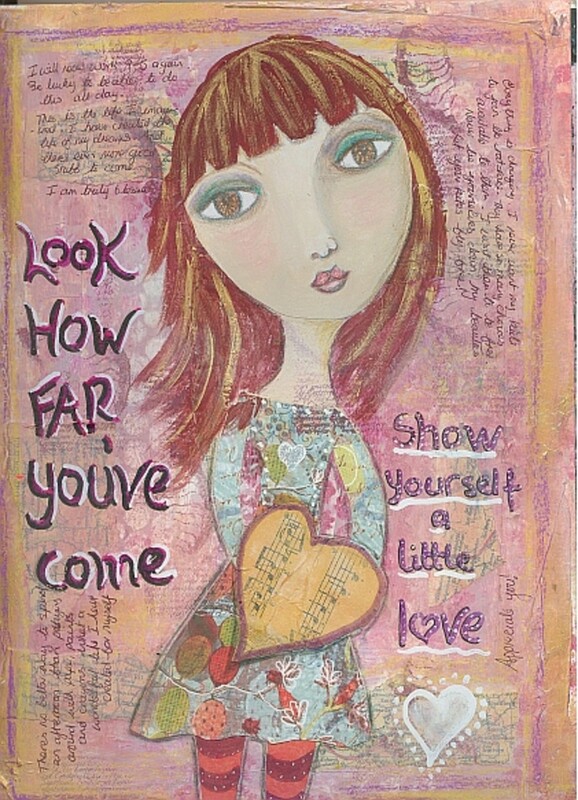 I discovered art journals a few years ago and was immediately hooked. I love it that you don't have to be a 'proper' artist to have fun like this... and there's words in them too! This is gorgeous - thanks for all the directions. I am going to start an art journal, and am anxious to start doing stuff like this. I was too stuck on "I can't do art" and am trying to break free from that. I love it! And I love those photos. You have actually inspired me to start a collage! I've been searching through magazines for pictures to add all day. I am about to do the bubble wrap trick. Thank you, thank you! Voted up and awesome! Absolutely fab! A beautiful hub and useful too. Love those photos. This looks like such a fun and creative project, theraggededge! Thank you for all the instructions, tips and ideas. Absolutely beautiful. I love the step-by-step pictures that illustrate your creative process. This is a very well constructed piece of art. 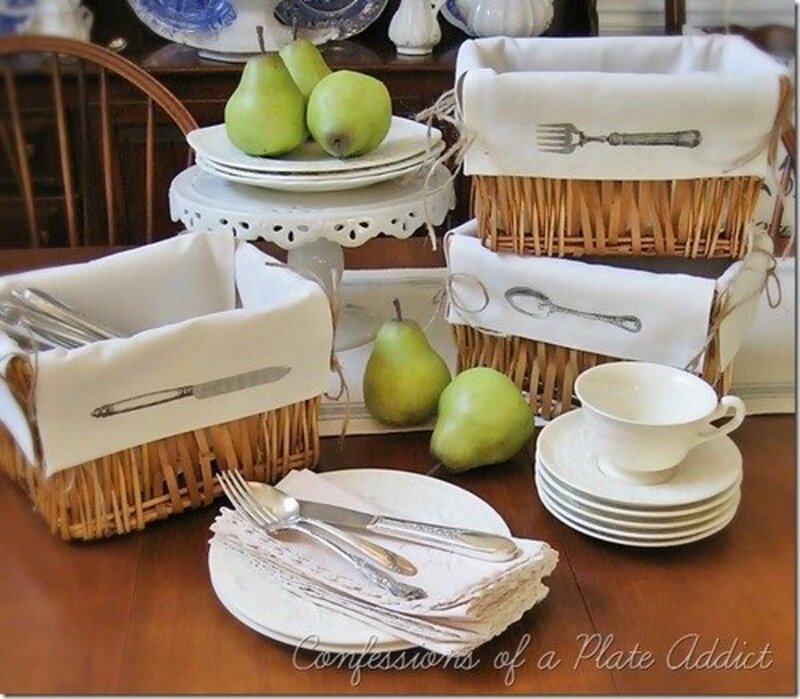 The little hints and tips using every day materials to enhance the piece make it all the more adorable. voted up/useful and shared! 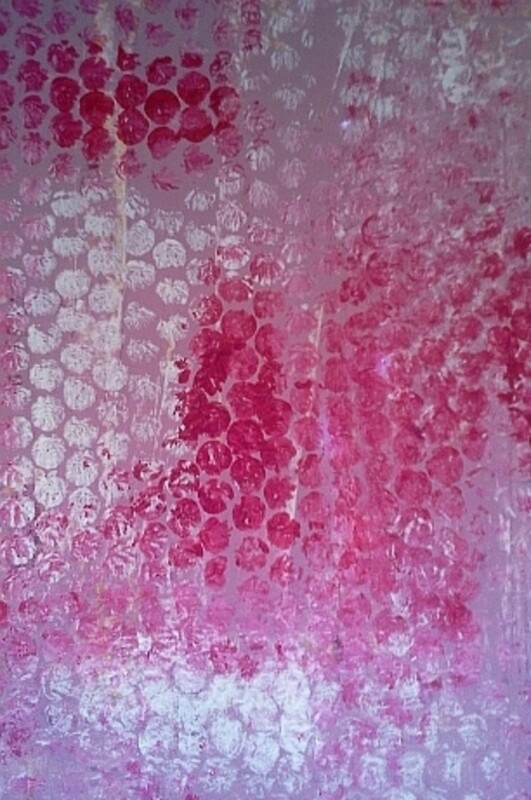 I love the way you used the bubble wrap to create texture! I have to try that! Thanks, Stephanie, and yes, absolutely, mixed media is all about taking techniques and making them your own. 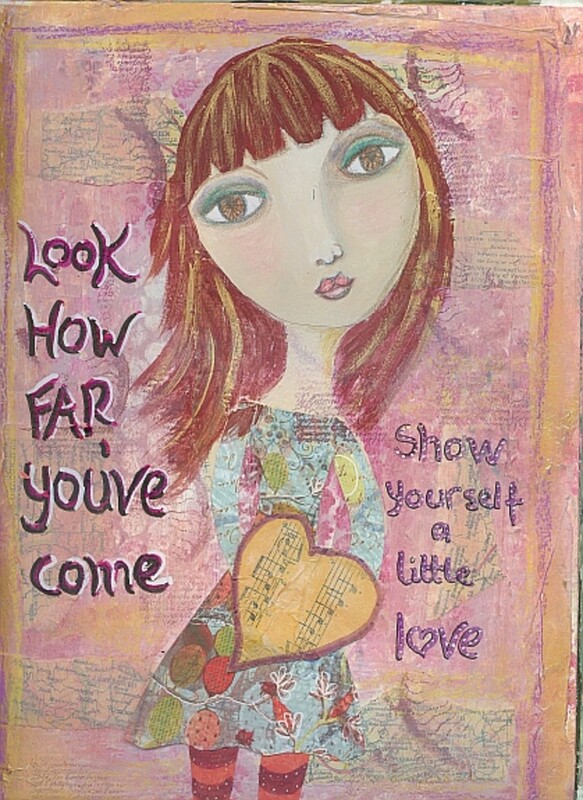 Great step-by-step instructions for an art journal page! I'm sure that anyone into art journaling could take these useful ideas and create all kinds of wonderful page designs. Voted up,useful and interesting!